Because that’s what German brands do. Copy one another. Shamelessly. It’s not strange to see German automakers matching each other whenever a popular new vehicle segment arises. Take the case of the BMW X6, as one example. Now look at the Mercedes-Benz GLE Coupe. Look pretty similar, don’t they? That’s not a coincidence, and in a recent interview with , Daimler CEO Dieter Zetsche mentioned the very real possibility of the expansion of the GLA-Class with a . “The new BMW X2 is basically like the (current) GLA,” Zetsche said. “And you will see a new GLA. As in other segments we’ll have two interpretations. So the GLA will be more in the SUV direction, and that will expand our scope. It gives us the possibility of doing something between the A-Class and the GLA.” Translation? 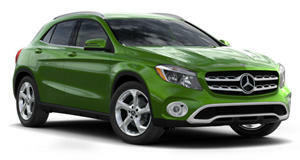 Three crossovers: GLA Coupe, GLA and GLB, all of them riding on the same platform as the upcoming all-new A-Class. In fact, a total of eight new Mercedes-Benz vehicles will utilize this platform, including the aforementioned three. Zetsche also clarified that he has absolutely no intention of having a Mini rival, so, therefore, nothing smaller than the A-Class. What will some of the other five vehicles be? Zetsche also confirmed the A-Class will spawn a sedan, specifically for the US and Asia. 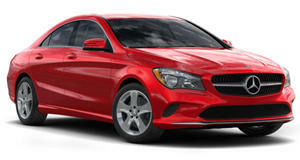 However, the A-Class sedan will not serve as a CLA replacement, which continues to sell well. There’ll also be a long wheelbase variant specifically for China. All told, here’s the next generation A-Class eight-vehicle breakdown: a hatchback, three sedans, three SUV crossovers, and, lastly, a successor for the B-Class MPV. This strategy does make an awful lot of sense, mainly because Mercedes will get a lot back from its investment. Think about it. One platform will spawn (at least) eight vehicles, all of which fall within hot-selling segments, notably the crossovers. Also like the X2, expect Mercedes designers to come up with something less boxy than the typical crossover. Remember, style over functionality, though the X2 doesn't lose too much interior cargo space compared to the more conventionally styled X1. Zetsche did not provide a precise timef rame for when any of these new models will launch, but the new A-Class just had its world premiere at Geneva last month.